Are you new to working with News Stories? If your site does not yet have a News folder, you will first need to create a Stories Listing Folder. See an example of a News Story and an example of a News Story listing page. You can borrow news stories from elsewhere in Cascade into your News folder. Learn how to work with Borrowed Stories. You will need to prepare and upload a thumbnail image which will display on your listing page. (optional) Add a photoset to your news story. You can build your photoset before you begin, or create one and add it later. See an example and learn how to build your photoset. Navigate to and select your news folder. Complete the applicable fields: Title, Summary and Author. In the News Story Content section, select a Publication Date (Note: if you do NOT want a time of day displayed, select the date and leave the default time as 12:00 AM). Enter the body of your story in the WYSIWYG editor. Save & Preview. Then Submit >> Check Content & Submit. Step 5: (optional) Adjust which news stories are featured on your homepage ... it's all in the folder order. 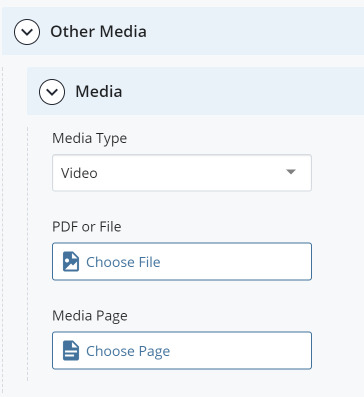 If your site does not automatically display news stories on the homepage, you will first need to contact your Cascade Web Manager to activate this feature. Change the folder order of your stories to control which are displayed first. Set the desired homepage stories as 1 and 2 (and 3 or 4 if your site displays that many stories on its homepage). NOTE: Ignore the 'Top Story' checkbox (while in the edit mode of a news story). This field applies only to the University News & Media W&M News website.